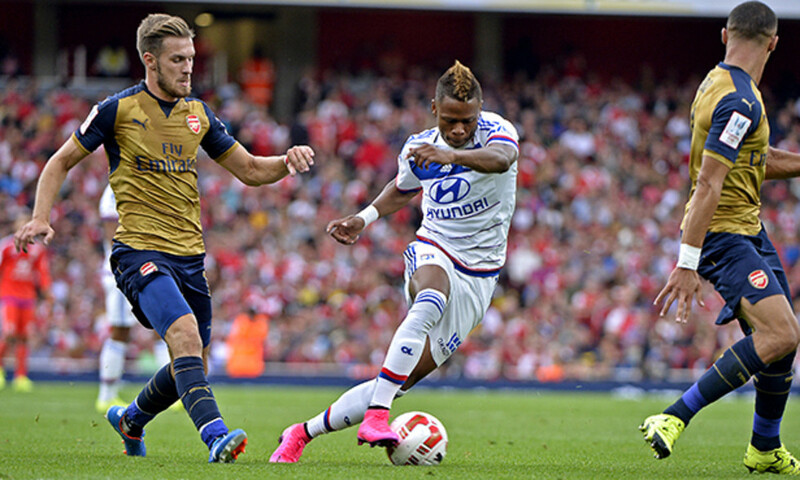 Against an Arsenal side riding a wave of confidence, Les Lyonnais never got into the game. 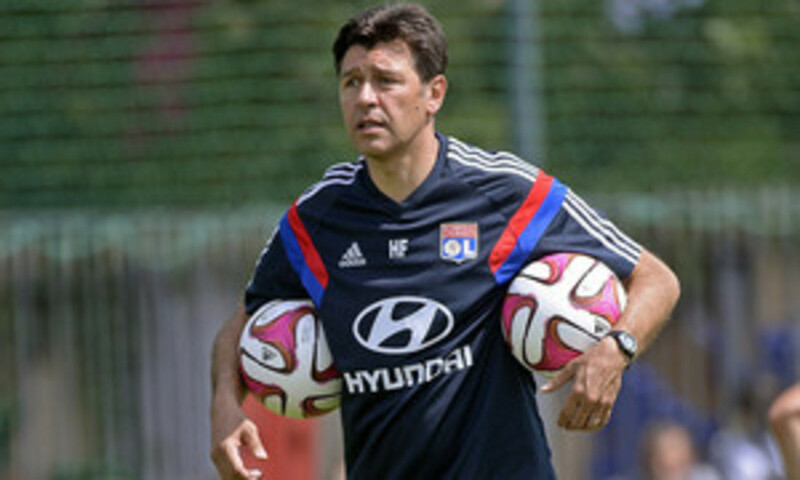 The French side offered little or nothing going forward and was overrun at the back. 86'. Akpom hits the post... before Lopes denies Walcott. 63'. Ozil adds number five. Giroud lays off to the German who half-volley's home left-footed... 5-0 Arsenal. 39'. Ramsey turns home another cross. Lopes is beaten again. Les Lyonnais are just being overrun. 4-0 Arsenal. 36'. Too fast... At the end of a brilliant team move, Iwobi scores a third with his left. 3-0 Arsenal. 35'. Giroud releases Chamberlain in behind and his shot acrss goal beats Lopes. 2-0 Arsenal. 30'. Giroud opens the scoring with his shoulder from Ozil's free-kick. 1-0 Arsenal. 25'. A huge blow. Grenier goes off with a quadriceps injury... Fekir comes on. 12'. And excellent passage of play from OL...Tolisso finds Lacazette in the middle, back to goal. The striker laid off to Njie with a superb backheel, but the shot is blocked by Martinez. 1'. 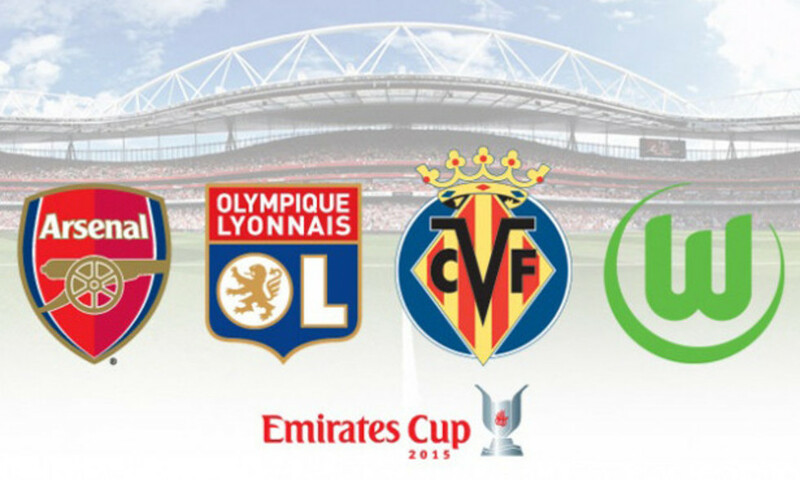 And we're underway... Les Lyonnais get their Emirates Cup 2015 campaign underway against Arsenal. Emirates Stadium, 59 801 spectators. Arsenal: Martinez, Debuchy, Gibbs, Mertesacker (C), Koscielny, Coquelin (Hayden 79'), Ramsey (Arteta 63'), Ozil (Cazorla 63'), Oxlade-Chamberlain (Reine-Adelaide 67'), Giroud (Walcott 67'), Iwobi (Akpom 63'). 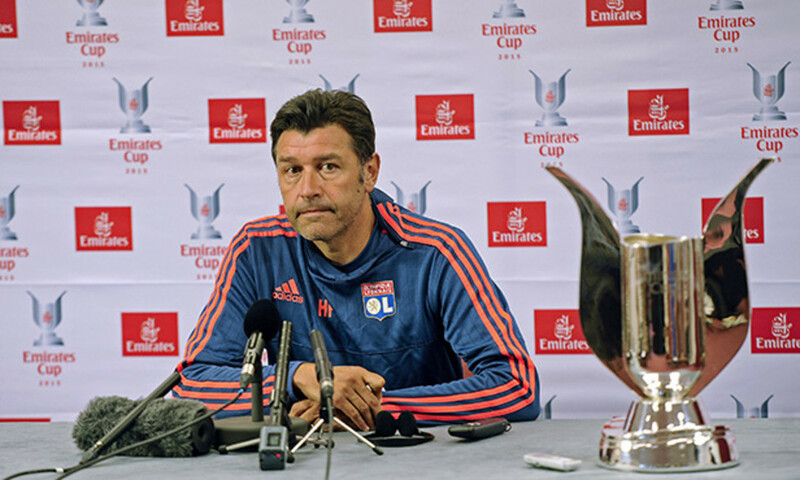 OL: Lopes, Zeffane, Rose, Umtiti, Jenssen, Gonalons, Ferri, Tolisso, Grenier (Fekir 28'), Lacazette, Njie. Goals: Giroud 30', Chamberlain 35', Iwobi 36', Ramsey 39', Ozil 63', Cazorla 85'. Bookings: Rose (OL) 17', Jenssen (OL) 36', Coquelin (A) 45'.